Take your meals outside with our new Portofino Dining Table Set, designed to accomodate up to 8 guests. 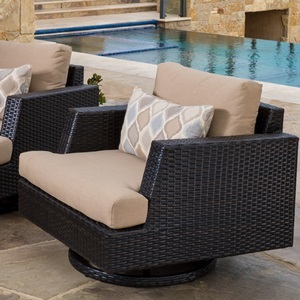 Featuring a natural stone top with rich woven accents, the kit includes comfortable high back armchairs with 3-inch thick Sunbrella seat cushions to provide the perfect place to sit and enjoy an outdoor meal or converse with friends and family. Table top features natural stone veneer with a lightweight aluminum frame wrapped in SolarFast® all-weather resin wicker that is durable and designed to withstand the elements. Kit includes eight dining arm chairs and base cushions with a stone top dining table. Beautiful and durable stone top includes a hole for umbrellas up to two-inches in diamter. Durable, all-weather SolarFast® resin wicker is engineered for outdoor use, and hand-woven over a strong and lightweight powder-coated aluminum frame. High density, quick drying foam cushions wrapped in Sunbrella® fabric ensures comfort and convenience. Designed for use in both hot and cold climates. Easy to clean with mild soap and water. 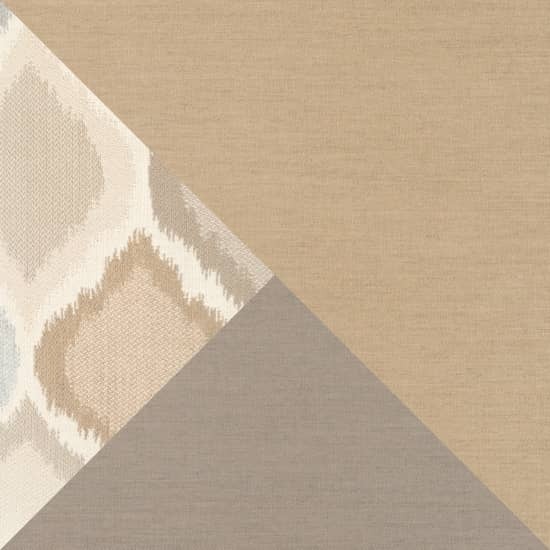 Designed to coordinate with the pieces in the Portofino Comfort Collection in Heather Beige.